But he just wanted to chat. We talked for a while and just before he left I asked him. Sensing the earnest nature of my question he eased into a student desk and we spent the next twenty minutes talking about student engagement and administrator observations. 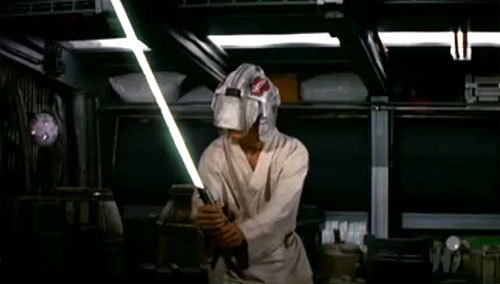 We started Instructional Rounds at our school last year and being able to positively identify student engagement seems a bit like trying to use the Force: easy to do as long as you are not actually trying to do it. 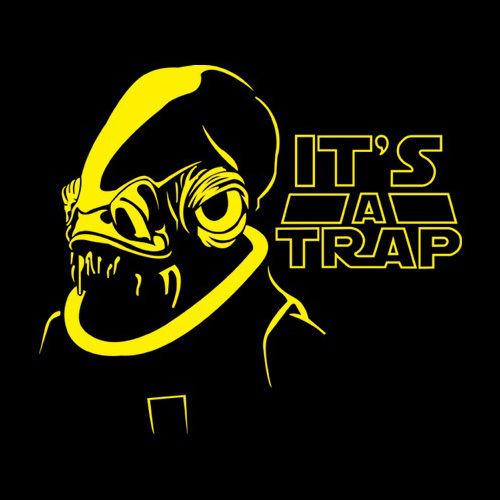 So the other day I was watching a Star Wars movie and the student engagement discussion was doing a sub twelve parsec Kessel Run in the back of my mind. So here are a few of the lessons we can learn from Anakin, Luke Skywalker, Darth Vader, and Wampas on students who appear to be not paying attention or who seem to lack cognitive engagement. This first type of student inattention is similar to Luke Skywalker training with Yoda. 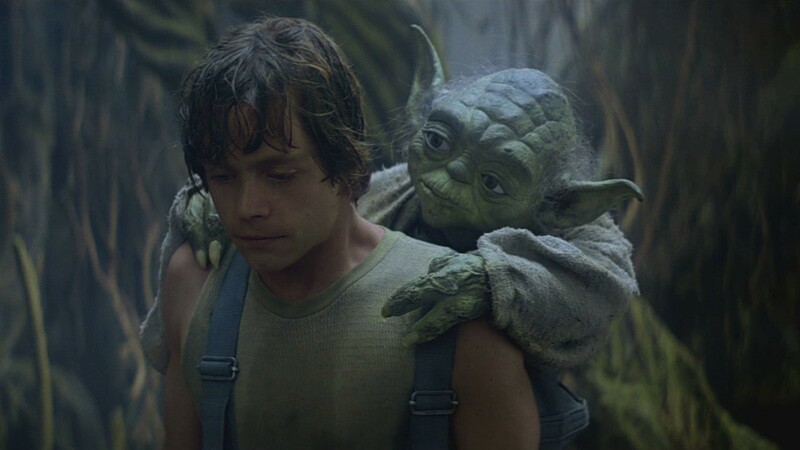 Luke wants to pay attention to Yoda- it’s really important to him, but he’s also distracted by the needs of his friends and his desire to confront Darth Vader. I felt like Luke Skywalker a few weeks ago when Jim Burke (Yoda?) (@englishcomp) was weaving his magic on stage at a UC Irvine writing conference. I can’t remember exactly what he said, but I started thinking about the relationship between Greek Cosmology and Teaching. See in Greek Cosmology the Universe started with Chaos but the act of creation exploded once the third entity appeared: Love. I’ve been reading a lot about the role of chaos in the act of creation and I’m shaping up a teaching/learning method with chaos and love as the foundational constructs. As I continued to write my extended analogy on Greek myth and teaching on the back of the presentation handout I meta-realized that I wasn’t really paying attention to what Jim was saying and that I had no clue how long I had been “not paying attention.” If he had looked at my “notes” he could’ve have shamed or chided me for not paying attention- but he couldn’t have said that I wasn’t thinking and that I wasn’t cognitively engaged. I guess you could get upset at a student over daydreaming or brainstorming in your class, but if your goal is engagement- I’d say that they are meeting this goal head on. In fact you may have inspired this very act of daydreaming/brainstorming- hopefully every teacher has had a class buzzing over a cool idea or had a student come up to talk to them after class about a new thought that you inspired. You are teaching from a dark place if you think that everyone daydreaming in your class is giving your teaching a big middle finger. Remember that fear is the first step to the Dark Side of the Force- don’t teach with a fear of not reaching students hanging over your soul. If you want to feel better about the whole daydreaming thing then read this article. 2: A Student’s basic needs aren’t being met. Anakin Skywalker is a terrible student. Time and time again, Obi-Wan Kenobi, Yoda, or Mace Windu try to teach Anakin something but you can see the words are just going in one ear and out the other. Anakin can’t listen or engage in the lesson because his basic needs: his need for the safety of his family, his need for community and acceptance are so strongly rooted in his being that until those needs are met he won’t pay attention. You can hardly blame Anakin. 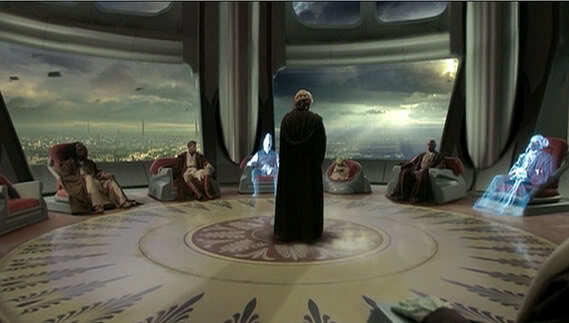 First he is expected to take care of his mom as a child battling against grown-ups in the Pod-races. Then he becomes a Jedi, but everyone is nervous around him- they have unfair expectations and he continues to have “outsider” status because he has started his training later than most students and not in the traditional manner. And finally he finds someone who loves him, but he is so worried about losing her that he can’t listen to his teachers/mentors. Notice that when the Chancellor offers Anakin a chance at securing his basic needs, then Anakin is ALL EARS and EYES on the prize. Tired: You need to either- talk to the student about why they are tired after class, talk to their parents about the situation, or if you have a great student, who just seems extra tired, you might want to try letting them close their eyes for five minutes or take a walk, or get a drink of water. I’ve done the “close your eyes for five” before in class and you would be amazed at how the kid thinks you are their hero and is ready for any challenge after their brief respite. Cold/Hot: be consistent and proactive in talking to your lead custodian (I keep a digital thermometer in my class so I can communicate specifics to the district rather than “it’s too cold.” Encourage students to wear layers. Hungry: I allow students to eat fresh fruit and vegetables in class and to drink water. On a side note I once had a 9th grade athlete who was very bouncy and always messing with other students. His mom packed three tangerines in his backpack for my class. He spent all period peeling and eating those tangerines instead of messing with the students next to him, and my class smelled great. Alone or have experienced a recent loss of a friend/relative or dating partner: Have you taken the time to create a community in the classroom. Have you taken the time to build positive/warm professional relationships with your students? There should be a family feel to your classroom. Your room should be a sanctuary and a welcoming retreat for students. Sometimes students need some extra attention or a little extra space or understanding. Need to use the restroom or blow their nose: I know teachers who won’t supply students with tissue since they should learn how to bring their own like an adult. That’s cool. You can either teach them a lesson about responsibility or you can help them engage in your lesson. Personally I have a hard time paying attention when I’m constantly tilting my head back so snot doesn’t run down my face. I also know teachers who won’t let their kids go to the bathroom or they give them bathroom passes and then give the students points or extra credit based on how many passes they have left at the end of the semester. That’s an awesome idea (sarcasm). What happens, in reality, is that your students just wait until they have a class with a nice teacher who understands that people have basic bathroom needs. Then they miss my class time instead of yours. But you were successful in keeping a student who is uncomfortably dis-engaged in your class all period: well done. There are many reasons beyond our control when a student is continually distracted or disengaged. for whatever reason they lack any compassion or empathy. Studies have shown that there is an area of the brain that is activated by compassion. Children who never see compassion in their early years have a smaller area of the brain than students who have continually seen compassion. 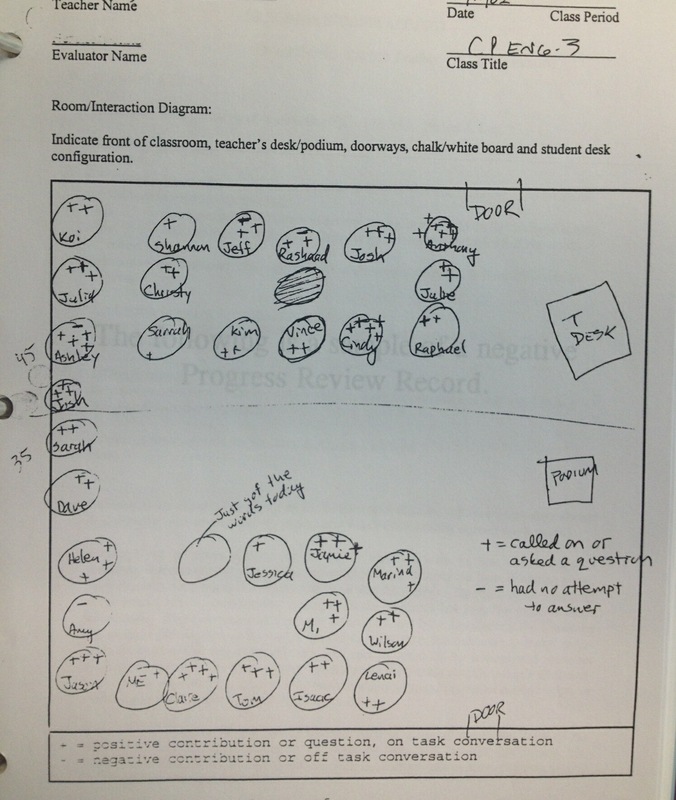 When students can’t see viewpoints beyond their learning becomes tricky to say the least. Hopefully you will find a way to reach or change the student, but for now you might need to just find a way to keep them engaged without distracting others. This is not a strategy to take lightly or to overuse. Some students are more focused on the ends (college/money/end-of-the day) and can’t understand the importance of your “means” of teaching them. They care about the destination and not the journey. If someone keeps them from getting the end result they want- watch out. Some students are too inexperienced or immature to understand your lesson. Luke Skywalker’s youthful inexperience often got in his way of listening to his mentors. You should try and address these issues as best you can. Talk to parents, administrators, former teachers, school psychologists and anyone else that you think might be able to help. You also need to eliminate the other three reasons for inattention before labeling a student with a “difficult,” “mean,” or “immature” label. They may even need to be placed in an alternative educational setting that is better suited for their learning needs. You need to be persistent and find out what is really going on with this student. Darth Vader would make a terrible teacher. The environment and method of his “instruction” is all wrong. Luke’s affective filters are just a tad high at this moment and he’s not ready to really learn the reality of his situation. Whenever a lesson goes south or my students are way off-task, my first inclination is to get angry. I start thinking about my students and how they love TV more than books and how they are rude and don’t understand decorum- and then I slow my breathing… I focus on myself and I ask myself an important question. Why? Why aren’t they listening? What have I done to address this, what could I have done to make this better. Why is THIS lesson not working when yesterday the lesson was great? If my students haven’t changed and we were great yesterday then the only thing that changed was my planning, my approach, me. More often than we care to think WE are responsible for student engagement. WE are responsible when students don’t pay attention. WE have the ability to change the situation IF we want to change it and IF we are willing to work until we find a means of engaging our students. The teacher is boring. Yes- sometimes your lessons are just not that exciting. I know you bemoan trying to compete with the internet, TV, YouTube, Facebook etc… but that’s the reality of the situation. You signed up to teach. Be fascinating, be passionate, be weird, be mysterious- you MUST grab their attention. You have overfilled their cup. While coffee is awesome a coffee cup that is so full it’s overflowing is anything but awesome- it’s a hot mess. There is a reason our phone numbers are only seven digits long. You must find the crucial objectives of your lesson and focus on those. You must limit the details and focus on digger deeper rather than wider. When we fail to structure the lesson correctly. When we fail to scaffold, when we don’t give students enough thinking time, when we don’t encourage risk takings or give them multiple paths to success these can all encourage students to give up. On the flip side students can disengage when we don’t challenge them, when we don’t provide them creative avenues to achieve our task. Students love puzzles and problem solving. Make sure you don’t do everything for them in a quest for success. When we have failed to show the importance of the material. When we have failed to make the material relevant to their lives. Do you really want their complete attention or do you just want the appearance of attention in order to placate your own sense of disrespect or decorum? Are you worried about looking good to those who are observing you (you might be a new teacher and this need seems crucial to a new teacher) or do you want to address your students’ true needs? My current take on that question is that if you really want their attention, you will need to take the time to find out about every one of those students who appear to be inattentive or rude. That will take some effort- so it’s going to have to be really important in your list of priorities. So I guess an important lesson on true student engagement is how can you incorporate some or all of the above five conditions of authentic engagement into your classroom. 1. Don’t be afraid of the distraction of a laptop or iPad. It’s only slightly different than staring at an attractive classmate, a classmate who is dressed in a unique fashion, or using a piece of paper to doodle or write notes. Students will find distractions no matter what they have or don’t have in the class. Do the benefits of the technology outweigh a “distraction” that would exist anyways? 2. You are allowed to tell them to turn the technology off just like I sometimes ask my students to clear their desks. 3. Model for them how you stay on task while using technology. And how sometimes you need to slide off-task to work through a problem but then explain how you re-engage. (Time constraints, reminders etc…) You can build a giant wall around the swimming pool in the middle of the school, or you can teach everyone how to swim. PS- I want all of my students to be engaged all the time, I KNOW that they are not. This bothers me, but I’m not going to throw in the towel and give up on my goal anytime soon. I have faith that you can maximize your achievement of this goal. If I didn’t have faith in your concern regarding this topic I wouldn’t have bothered to write this. If you are a huge Star Wars fan and know about Star Wars fans and their feelings towards George Lucas AND you have seen the movie Old Boy you will LOVE this video. If you are a huge Star Wars fan and know about Star Wars fans and their feelings towards George Lucas- you will really like this video. If you have no clue about Star Wars, and have never seen the movie OldBoy I would probably just ignore this video. I also know teachers who won’t let their kids go to the bathroom or they give them bathroom passes and then give the students points or extra credit based on how many passes they have left at the end of the semester. That’s an awesome idea (sarcasm). What happens, in reality, is that your students just wait until they have a class with a nice teacher who understands that people have basic bathroom needs. Then they miss my class time instead of yours. But you were successful in keeping a student who is uncomfortably dis-engaged in your class all period: well done….AWESOME! I LOVE IT. Previous Entry The EDU Scarlet Letter: When SHOULD you label a student with an F?